One day, while out wandering in nature, my husband made a comment about how much Spanish Needle we had growing in the area. My response was “that's how you know you're in the Southeastern part of America.” And there is a bit of truth in that sarcasm. If you look around anywhere here, you'll see white flowers with yellow centers. In fact, it's so prolific that our founding fathers were once wondering if they should grow it as a food crop and decided against it because it was all over the place and very easy to forage. The genus Bidens contains almost 200 distinct species of herbaceous plants in the Aster family (Asteraceae). In Central Florida, Bidens alba is most commonly referred to as Spanish Needle or Beggars Ticks. We also have Bidens pilosa which is used in the same way and looks so similar that the only major identifying difference is height (alba is taller) which is hard to distinguish when you’re dealing with a plant that gets mowed over quite regularly. The latin name will actually help you to identify the plant a little easier. Bidens refers to the seeds and literally translates to two (bi) teeth (dens). Alba refers to the flower and translates to white. The flowers and young leaves are edible, both in salads and as a potherb (just don’t eat Bidens too much or too often as it has a high saponin content and has a tendency to take up silicas from the soil), and the whole plant can be used medicinally. 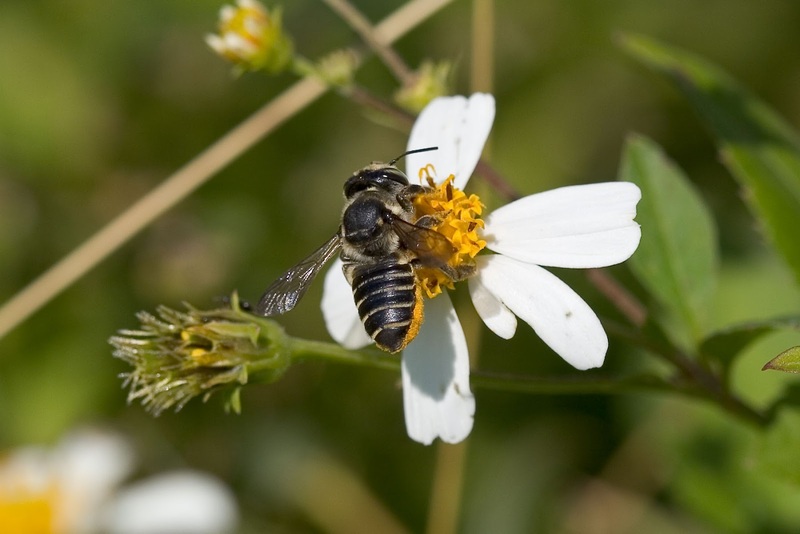 Bidens is also the number one plant that bees use for honey in Central Florida. So if you want to help out our local pollinators, encourage the growth of Bidens in your garden. Summary of actions- Astringent, anti-inflammatory, antibacterial, antidiabetic, antidysenteric, antimalarial, antimicrobial, antiseptic, blood tonic, carminative, diuretic, galactagogue, hepaprotective, hypoglycemic, hypotensive, immunomodulant, mucus membrane tonic, neuroprotectant, prostaglandin synthesis inhibitor, styptic, vulnerary. Traditional Chinese Medicine- This plant is used to clear up heat, remove toxins, and eliminate stagnancy. The applications listed include influenza, swollen and sore throat, enteritis (inflammation of the small intestine), dysentery, jaundice, epilepsy in children, malnutrition in infants, and hemorrhoids. Mucus membrane tonic- Use the whole plant to dry up excessive mucus, relieve pain, soothe and heal the mucus membranes. This is particularly potent when dealing with the urinary tract. My husband and I use it, in addition to Nettle, for help with our seasonal allergies when our sinuses are particularly effected. Antimalarial- A tincture of the fresh leaves is extremely effective against malaria. Only slightly less effective, in the short term, than typical malaria drugs. If taken longer, however, Bidens shows a greater measure of effectiveness, even once the parasite becomes resistant to typical drugs. Blood pressure and heart rate- Bidens relaxes vascular tissue, is a vasodilator, and relaxes the heart. The effects are also long lasting. This makes it a great herb to lower blood pressure. For this use, it’s good to pair with ginger as ginger works as a catalyst to increase the effectiveness of Bidens. Antimicrobial- The whole plant can be used as an antimicrobial remedy. If you are using the leaves, fresh leaves make the best tincture. Black pepper should also be added as it works synergistically to increase the effectiveness, unless you are using this for the GI tract (black pepper can cause irritation). Bidens has shown a great amount of effectiveness in this use, particularly when dealing with resistant strains of bacteria. 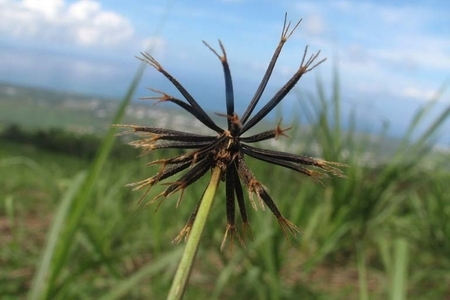 Styptic- If you collect and grind the seeds into a fine powder, Bidens can be used to help stop bleeding. I hope you have a new appreciation for this common plant. If you have any questions or comments, please leave them below.